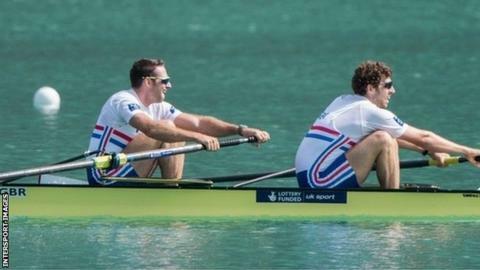 Nathaniel Reilly O'Donnell and Matthew Tarrant won gold in the men's pair at the World Cup event in Italy. The pair were not picked in the British squad for the European Championships in Brandenberg next month but overcame a tough field on Lake Varese. World finalists Roel Braas and Mitchel Steenman from the Netherlands led but the Britons won in six minutes 40.06. World champions Martin and Valent Sinkovic won the double sculls, with Jack Beaumont and Nick Middleton sixth.